Victoria Cruises, the only American-managed luxury cruise line on China’s mist-shrouded Yangtze, is offering reduced winter rates on February 2018 departures of its popular three- and four-night Three Gorges Highlights itinerary. Pioneer of luxury river cruising on China’s Yangtze River, Victoria Cruises is once again offering 2-for-1 pricing on its popular Three Gorges Highlights program between Chongqing and Yichang for reservations booked directly with the cruise line by August 31, 2018. 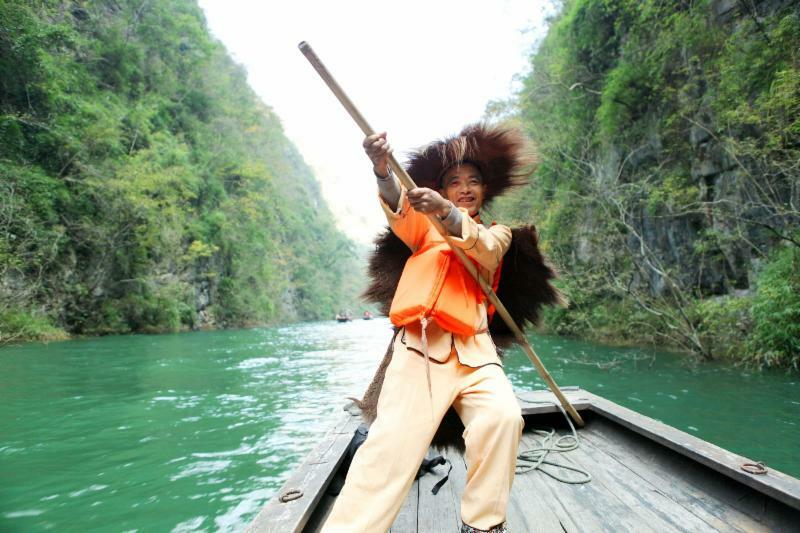 Pioneer of luxury river cruising on China’s Yangtze River, Victoria Cruises has launched a new optional excursion to experience the acclaimed “Romance of the Three Kingdoms” live-action musical and acrobatic performance. As the 2018 sailing season begins on China’s mist-shrouded Yangtze River, Victoria Cruises celebrates its renewed partnership with Globus as the exclusive Yangtze River cruise partner for the award-winning tour brand. In order to enhance the passenger experience and provide greater flexibility based on river conditions, Victoria Cruises will debut two new excursions when its 2018 sailing season on China’s mist-shrouded Yangtze River commences in March. After offering more than 75% off private balcony Superior Staterooms on river cruises along China’s Yangtze, Victoria Cruises is now offering Executive Suites from $522 per person, based on double occupancy, for biweekly departures from Feb. 1 – 25, 2018. Victoria Cruises is extending its limited time 2-for-1 promotion to its already discounted winter departures in February 2018. 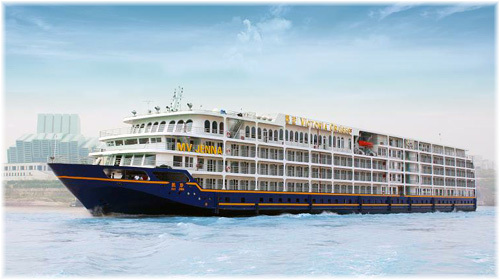 Leading tour operator Trafalgar has contracted Victoria Cruises as its exclusive partner for Yangtze River cruises. The globally-awarded company is enhancing its popular “Classic China” itinerary with a luxury river sailing up the mist-shrouded Yangtze on the five-star Victoria Selina along with three nights in Chengdu to observe China’s national symbol, the giant panda. Victoria Cruises is offering a 40% discount off its published rates for passengers booking its well-appointed Executive Suites by May 31, 2017. 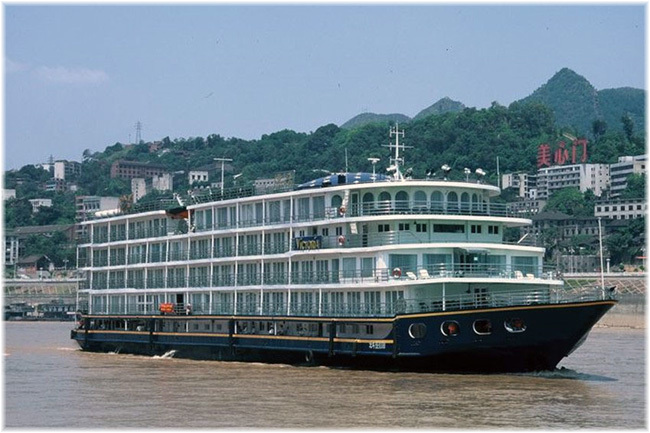 Additionally, the service leader on China’s mist-shrouded Yangtze has extended its 2-for-1 special on private balcony Superior Staterooms throughout the same promotional window. Executives at Victoria Cruises, the only American-managed line on China’s Yangtze River, are reporting increased demand for cruises to the famed Three Gorges from global markets coming into 2017. World’s Largest Ship Elevator Opens at Three Gorges Dam in Central China Victoria Cruises will introduce passengers to another technological marvel along China’s Yangtze River with the inclusion of the world’s largest ship elevator in its 2017 programs. Victoria Cruises, the Yangtze River’s pre-eminent cruise line, is offering 2-for-1 pricing on all 2017 voyages in celebration of Chinese New Year, which kicks off this year on Jan. 28. As the renowned experts in experiential travel, Pacific Delight Tours is launching a Gluten-Free tour series beginning with a fully escorted 17-day China departure on May 12, 2017.